Watauga County is located in western North Carolina, near Tennessee, and is known as the heart of the High Country region.&nbsp; It includes towns such as Valle Crucis, Boone, and Blowing Rock within its borders. Much of Watauga County is a bit more commercial than Ashe and Alleghany and that is partially due to the fact that Appalachian State University led the county into the 20th century after the school began as a state teachers college in the 1890s. While most of the county has been developed, there are still numerous areas and tracts of large acreage available. 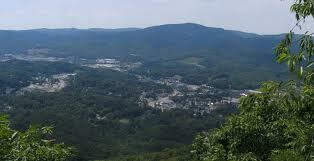 It is one of the best places to buy Western North Carolina Real Estate and has been for decades. Take advantage of the great prices on real estate right now! Whether you are looking for a mountain home, cabin, land, or an investment property, we can help you with all of your Watauga County Real Estate needs. Watauga County is a region in the mountains where you can buy NC Real Estate and be right in the heart of the High County. Large Tracts of NC Land for Sale, Ashe County Homes for Sale, Watauga County Real Estate and more! Get to know our staff and learn all about our Licensed North Carolina Real Estate Agents by browsing their profiles. They are here to help you!